Eagle Facts | Cool Kid Facts . Eagles are a type of bird that is called a “bird of prey”. They are expert fliers, and are known for their excellent hunting abilities. While you might automatically think of a bald eagle, there are actually more than 70 different kinds of eagles all over the world. Keep reading to find out more interesting facts about eagles. What are the characteristics of an eagle? The specific color and size of an eagle will depend on what type it is, but there are some characteristics that all eagles share. Eagle are known for their heavy heads and large, hooked beaks. 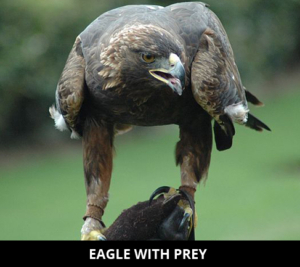 They are also known for their strong, powerful legs and sharp talons. Eagles are covered in feathers, and they have a wide wingspan. Eagles can be found all over the world, with more than 60 different species in Eurasia and Africa. 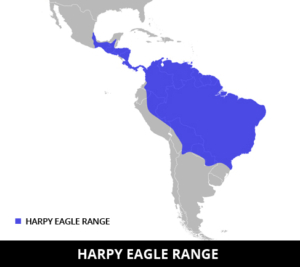 Outside of this common space, only two types of eagle are found in North America, nine in Central and South America, and three types in Australia. 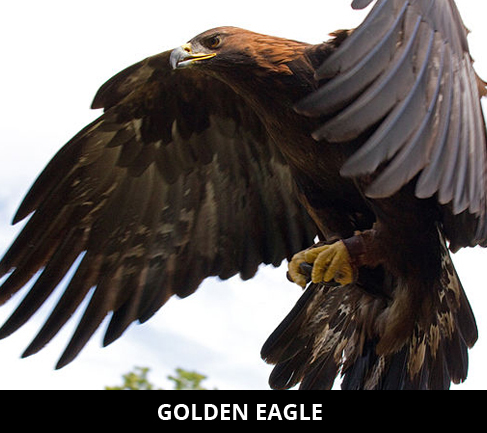 The two kinds of eagles that are found in North America are the bald eagle and the golden eagle. What do eagles like to eat? While all eagles are powerful predators, the type of food they eat depends on where they live as well as what their species is. A few different eagles in Africa mostly eat snakes, whereas the eagles in North America mainly eat fish and water birds, like ducks. A majority of eagles only hunt for prey that is smaller than them, but some eagles have been recorded picking up large deer or other big animals. Eagles are expert fliers, and use this skill to circle around and search for prey. They have excellent eyesight which helps them to be able to spot a potential meal from far up in the sky. Once they have spotted something, they are able to dive down at speeds of close to 100 miles per hour! The animal never stands a chance. Eagles have a strong grip and they use their sharp talons to grab their prey and carry it off to a tree or their nest, where they then use their hooked beak to tear off pieces. Eagles are birds that are fierce and strong. Although the types of eagles are very different, there are a few things they all have in common: they are expert fliers, excellent hunters, and are not meant to be messed with. These predators are aggressive and graceful, and have definitely earned their name as birds of prey.